During the Industrial Revolution there were huge advances made in science and technology. 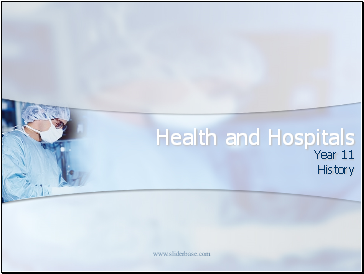 Huge progress was made in identifying and preventing many diseases. 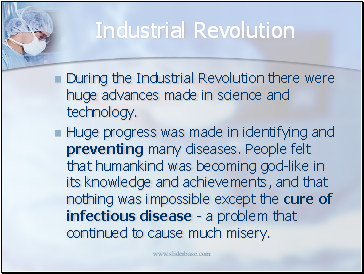 People felt that humankind was becoming god-like in its knowledge and achievements, and that nothing was impossible except the cure of infectious disease - a problem that continued to cause much misery. 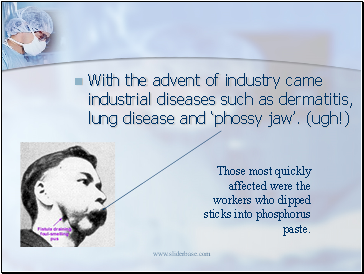 Those most quickly affected were the workers who dipped sticks into phosphorus paste. 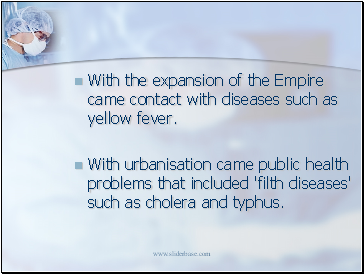 With the expansion of the Empire came contact with diseases such as yellow fever. 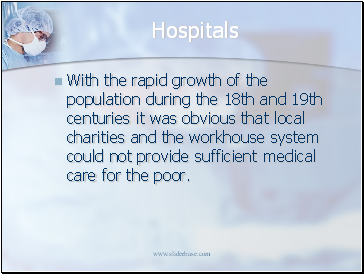 With urbanisation came public health problems that included 'filth diseases' such as cholera and typhus. 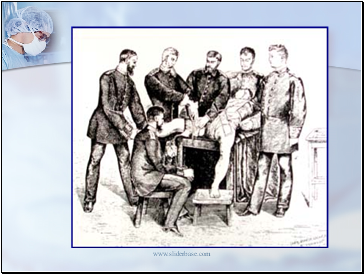 The real ‘Medical Revolution’ started in France. 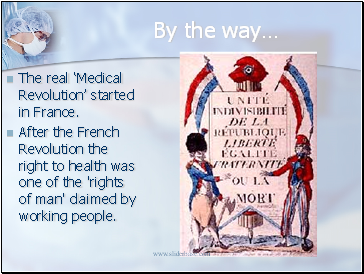 After the French Revolution the right to health was one of the 'rights of man' claimed by working people. 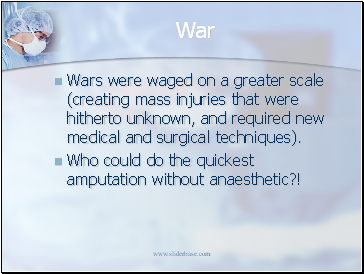 Wars were waged on a greater scale (creating mass injuries that were hitherto unknown, and required new medical and surgical techniques). Who could do the quickest amputation without anaesthetic?! 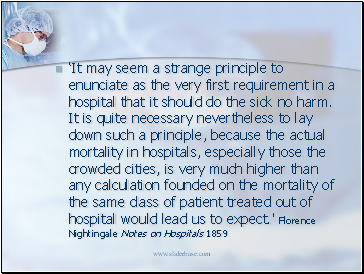 With the rapid growth of the population during the 18th and 19th centuries it was obvious that local charities and the workhouse system could not provide sufficient medical care for the poor. 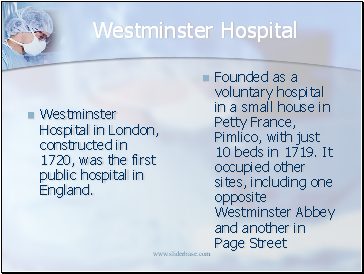 Westminster Hospital in London, constructed in 1720, was the first public hospital in England.